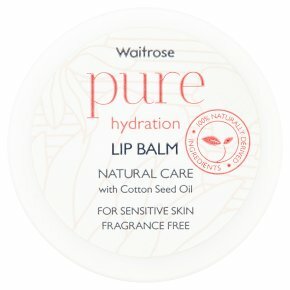 HYDRATION LIP BALM Our pure hydration range has been specially formulated with cotton milk to leave skin feeling nourished and moisturised for up to 12 hours. A caring lip balm made with shea butter and almond to leave lips feeling moisturised Dermatologically approved. Suitable for vegans and vegetarians. Paraben free. Suitable for sensitive skin.